S-POST is a standard post processor program that comes included in SURFCAM with over 50 S-POST post processors for major CNC machine manufactures. S-POST has an “easy to use” generator module that presents dynamic menus, context sensitive help and a powerful Factory Interface Language (FIL) utility designed to improve the user's productivity. 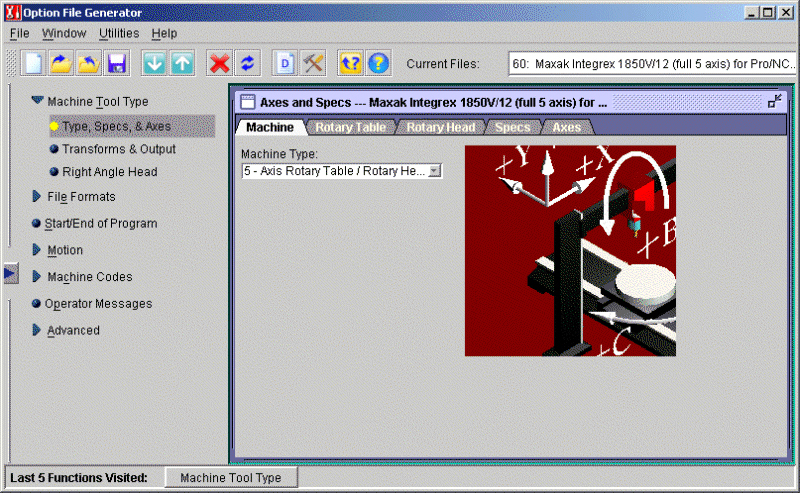 FIL provides external file I/O and Tool Path file manipulation to generate code for any machine tool. S-POST supports 2- to 4-axis lathes and turning centers with either one or two turrets on common or separate slides. It accommodates mills and machining centers with up to 15-axes, with indexing tables, rotary and/or tilt heads. S-POST also supports other types of non-turning NC/CNC machines, including Lasers, Wire EDMs, Punches/Presses, Grinders, Drills and Routers. S-POST comes with the CIMpro Java interface. 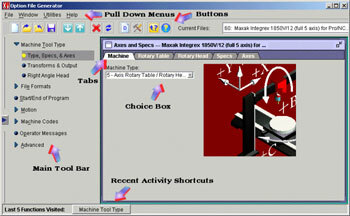 This interface allows you to access your complete NC/CNC programming system. This module enables the user to create a specialized postprocessor to generate code that meets the requirements of your equipment. No knowledge of any programming language is required. A postprocessor is generated by supplying the machine kinematics, control codes, data format, and other machine control constraints through a dynamic Java user interface. When postprocessing is initiated, the Spost reads the Option File (parameter file) and sets the output variables to the correct values for the machine tool. The Option File Generator uses standard Windows ™ disciplines when selecting machine constraints and options. Options can be selected in any order, and only those values not agreeing with the control or machine description need be changed. Using S-POST is easier than ever. From the Java interface, the user starts the Option File Generator and begins the configuration process. On-line help is available throughout the creation process. Modifications may be made by selecting only the menu where a change is required.